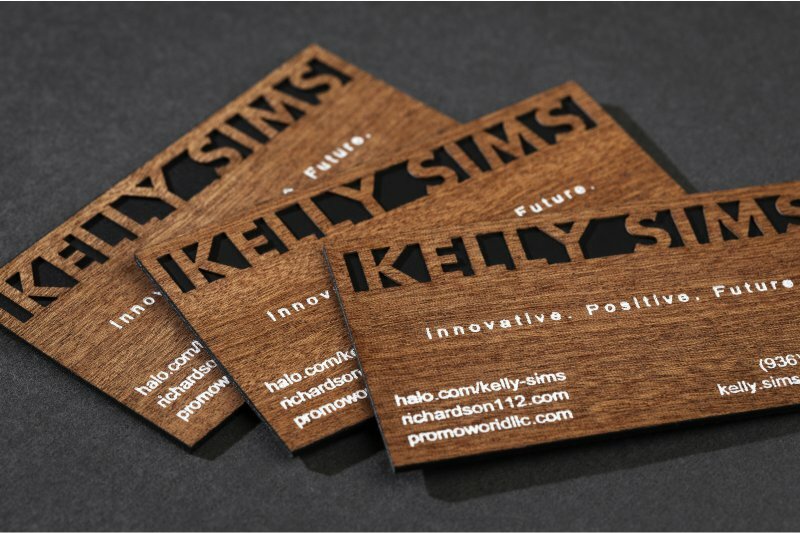 Our Wood cards are professionally crafted to give an all natural look to any business card. 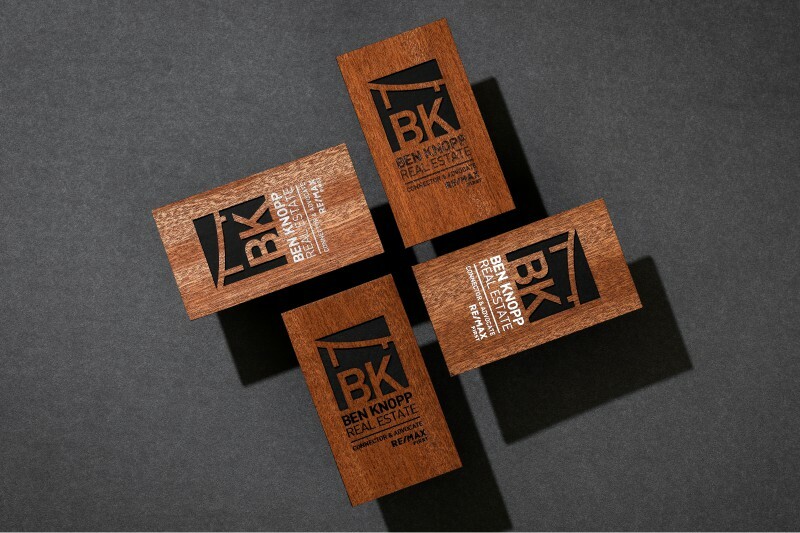 Whether you choose Cherry or Beech, you will be able to see the distinct differences in the grain itself. 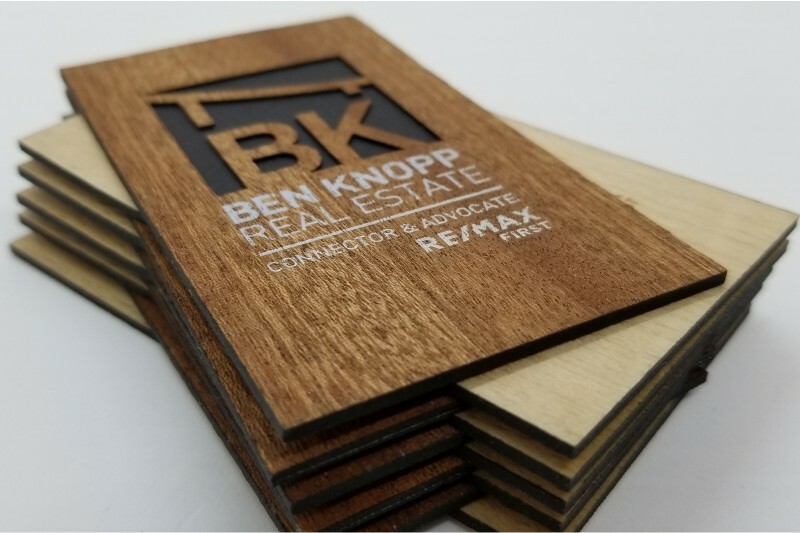 This option combines our wood card with our smooth black card to give anyone the freedom to be able to die cut this stock. 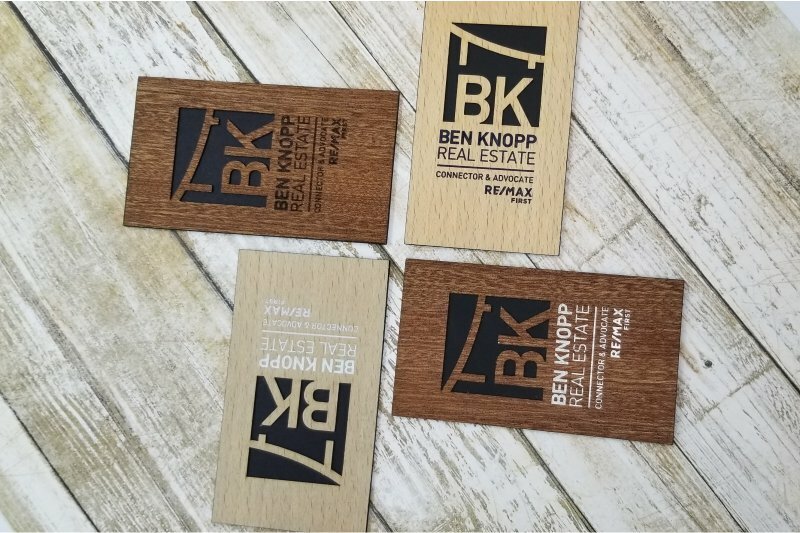 In addition, this card can be enhanced with Laser Etching and Foil to make your business card a truly unique one. 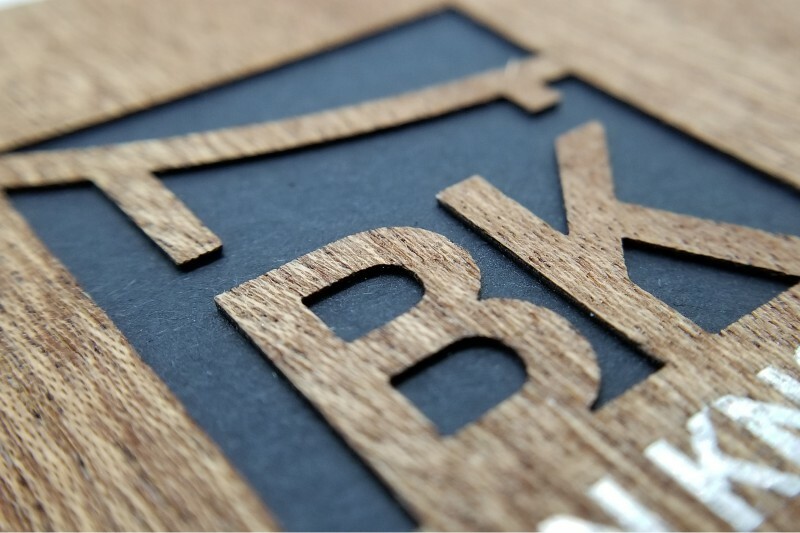 3.5" x 2" but can be Custom Die Cut to any size or shape to fit your needs.